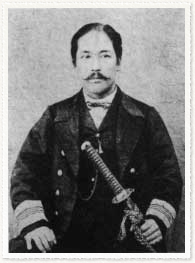 Born in Edo（modern Tokyo）as the second son to a samurai family in the direct service of the Tokugawa Clan，Enomoto graduated from The Shoheizaka Study Office and after studying in the Naval Training Centre in Nagasaki he went on exchange to Holland．After returning on board the Kaiyo Maru he took part in the Boshin War. 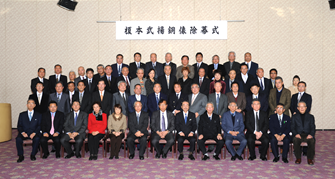 He resisted the Satsuma and Choshu Clans to the very end while holed up in Goryokaku Fort in Hakodate. 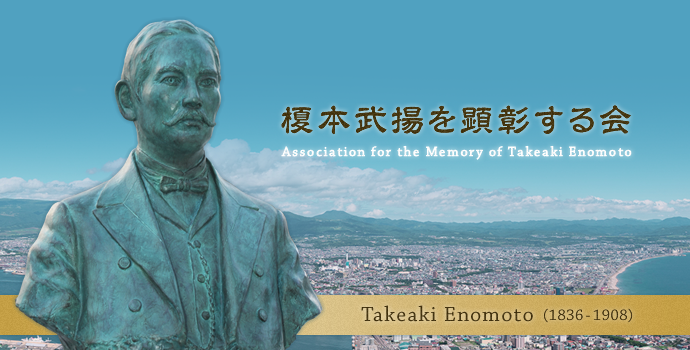 He was later imprisoned in Tatsunoguchi Prison．He was due to be executed by beheading but was released after an appeal for clemency from Kiyotaka Kuroda who argued that the modernization of Japan needed the help of people like Enomoto．In 1872 the opening up of Hokkaido started. 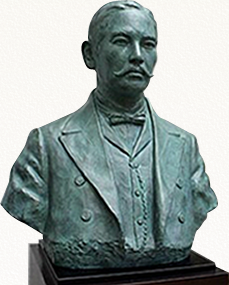 and Enomoto，as the inaugural Government Minister to Russia concluded the exchange treaty of the islands of Karafuto and Chishima．Enomoto became a great diplomat for Japan．In 1885，he became the first Minister of Communications；he also held the position of Minister for Agriculture and Commerce,Minister of Education and Minister of Foreign Affairs．Further， as the head of various groups such as The Institute of Electrical Engineers of Japan，The Society of Chemical Industry of Japan，The Meteorological Society of Japan，Tokyo Geographical Society etc．Enomoto greatly contributed to the creation of modern Japan. Copyright(c) 榎本武揚を顕彰する会 All right reserved.